Many houseplants flower in their native habitat. With the right conditions you can get them to flower in your home as well. 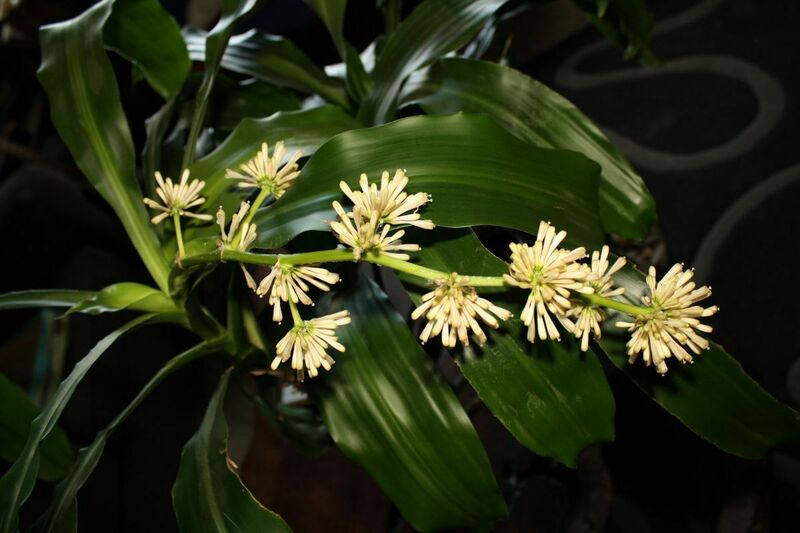 This is a guide about getting houseplants to flower. The number one cause of failure to bloom is insufficient light. So if your houseplant isn't flowering (and if it's the kind that is supposed to flower), then your first move should be to increase the light level. If your plant has bloomed before and now, a year later, it's not blooming, ask yourself whether you've ever given it either fresh soil or some fertilizer. 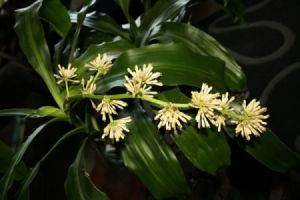 The act of flowering means the plant consumes a lot of nutrition from the soil, and that needs to be replaced by either adding fertilizer or re-potting in fresh soil. Re-potting is best done in spring for most plants. Taking a plant out of its pot and checking the root system will give you a reliable guide as to whether the plant now requires a larger pot, as well as fresh soil. If roots are now circling the bottom of the pot, it clearly needs more room. It's a good time also to check the plant (pay special attention to the undersides of leaves) for any kind of insect infestation. Plants grown indoors need their leaves dusted once in a while, too. You can put the pot in the sink and use a sponge or cloth to clean individual leaves, or direct water from a sprayer onto the leaves if your sink has a sprayer (especially if the plant has lots of little leaves when it would be impractical to brush dust off each leaf). Bear in mind: A healthy, happy plant has a much better ability to fight off infestation than a plant that needs more light, fresh soil or fertilizer, or a bigger pot. Consistent watering is also important, of course. 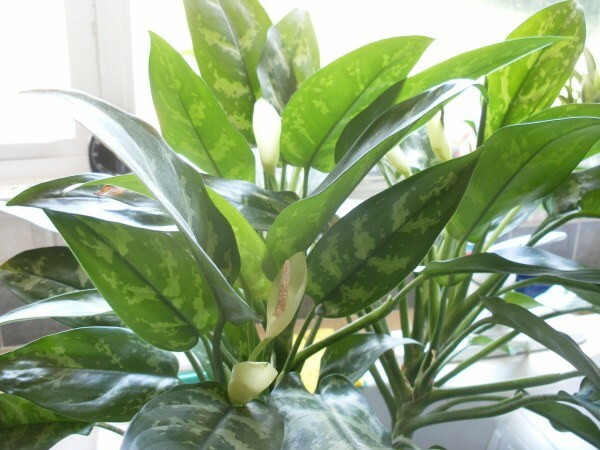 Plants also filter indoor air and make it healthier to breathe. They give us so much, and require so little. Give your plants what they need and reap the rewards of strong healthy beautiful plants bearing their seasonal blooms! Kalanchoe needs shade for a while to bloom again. Also blooming fertilizer helps. Some plants require poor soil to bloom. Over fertilizing causes more high shine leaves, less flowers for the more poor soil breeds of plants.